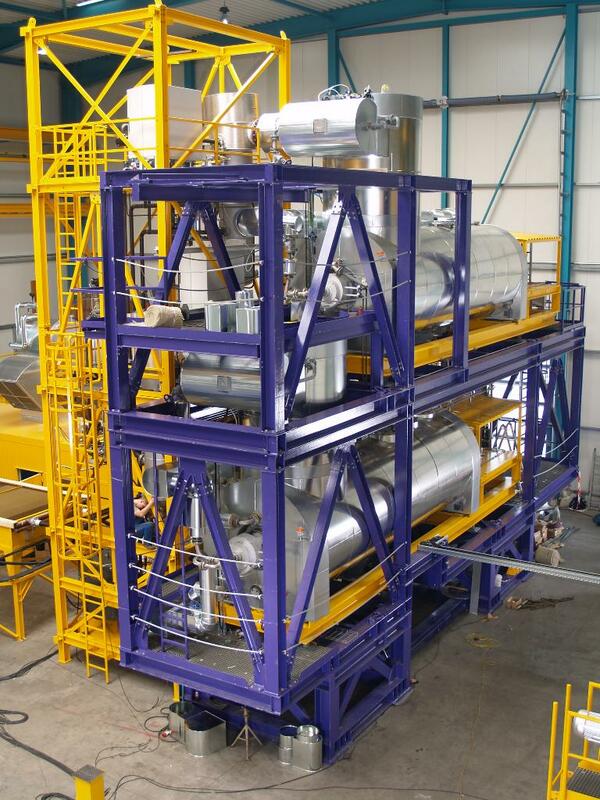 In 2007 econ industries delivered an indirectly heated thermal desorption plant to a client in Kuwait. 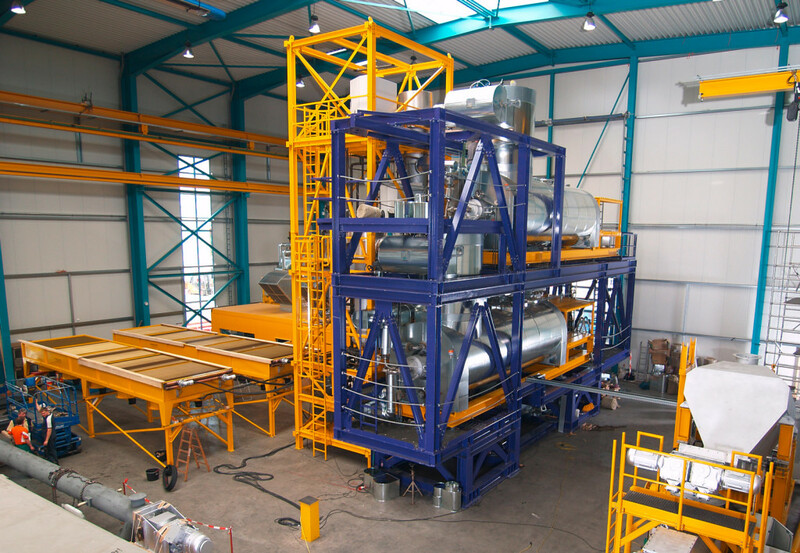 The plant was designed to treat various types of waste with hydrocarbon contaminant content, in particular refinery waste, oil lagoons and down hole drilling waste. The aim is to recover the waste hydrocarbons from the soil/sand and remediate the lagoons of their contaminants. 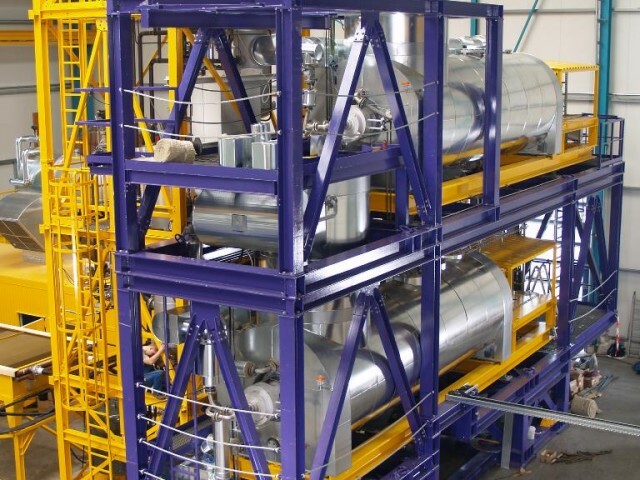 Due to the natural evaporation of volatile components at air temperatures in excess of 50 °C, the waste primarily consists of high boilingpoint hydrocarbons. This means product temperatures up to 350 °C had to be realised. 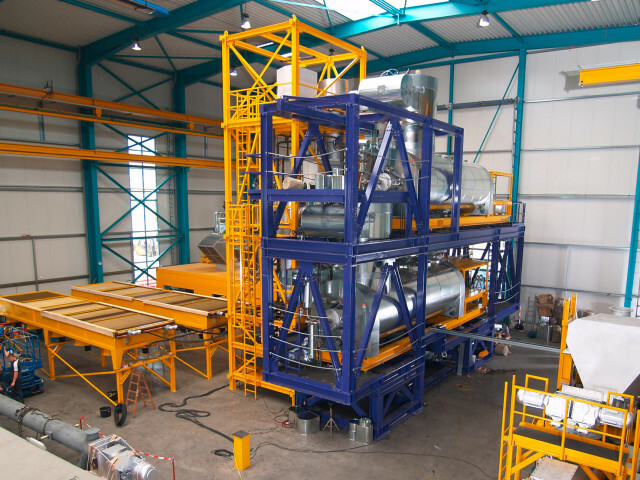 There-fore a heating unit using thermal oil of 400 °C was incorporated into the plant. To comply with the ATEX regulation for material with the temperature class T3, all equipment was specially designed for that purpose. 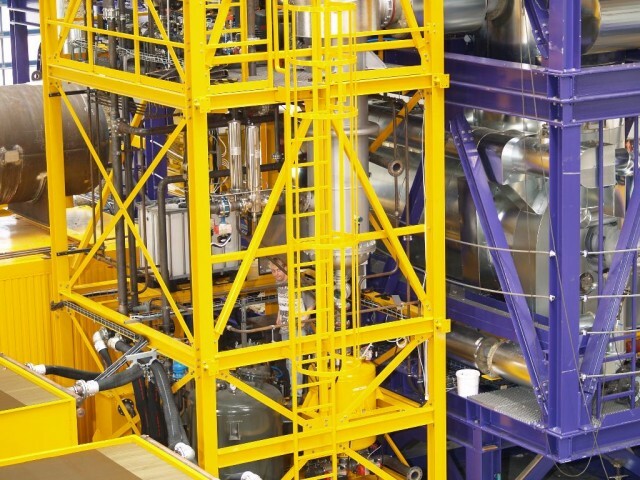 The complete plant was certified by the German regulatory body TÜV. 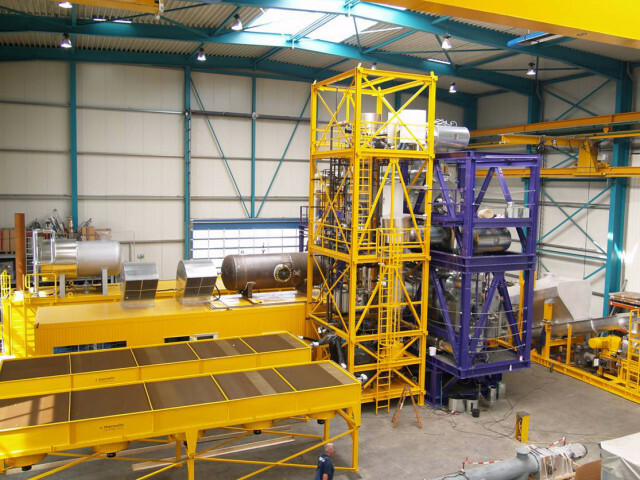 To easily move the plant from one lagoon to the next, the complete unit is in skid-mounted design for a semi-mobile character. 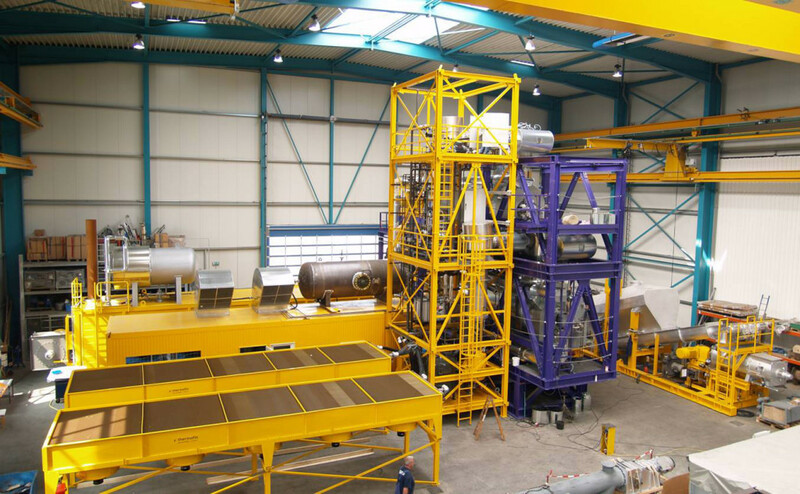 After each remediation job the plant can be moved to the next site within a few weeks and start the next job without the erection of a building or supply facilities. 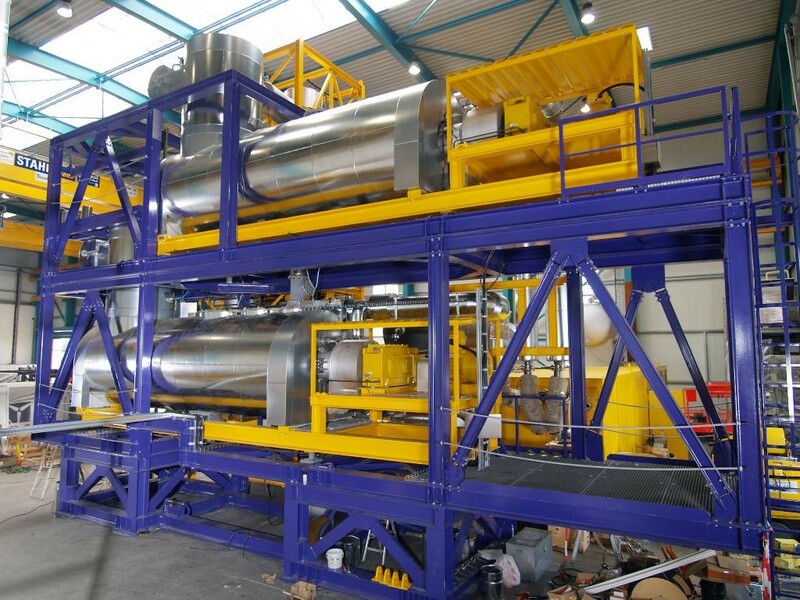 In addition the capacity of the plant can easily be expanded via a feeding system for sludge by installing an additional solid pump unit.